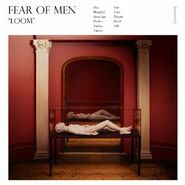 Fear of Men imagine a world where The Cranberries stayed good, The Sundays really got their due and Belly didn’t flame out. Led by singer/guitarist Jessica Weiss, the band calls to mind alternative/dream pop bands of yesteryear, and Weiss’ vocals call to mind the ethereality of Cocteau Twins’ Elizabeth Fraser crossed with the heartiness of The Cranberries’ Dolores O’Riordan. The band’s muscular indie-rock can move in graceful lockstep (“Tephra”) or set a pretty, yet never sappy backdrop over which Weiss can breathily intone, as on the lovely “Seer.” On the album’s most thrilling moments, Weiss will stretch her voice into territory that goes beyond the expected, singing into a lo-fi mic on the gorgeous “Descent” or looping into dizzying layers on standout “Waterfall.” One of the most promising debuts of the year. In between the albums Blonde on Blonde and John Wesley Harding, Bob Dylan holed up in Garth Hudson’s Woodstock home with his band (that would be The Band), where the group tore through multiple recordings a day for the summer of 1967. Those recordings would not only provide the seeds of hit songs for other artists, they would go on to spawn The Band’s Music From Big Pink. Though a collection of these recordings was released in 1975, the entirety of this legendary fertile period had never been released until now. Vol. 11 of The Bootleg Series gives Dylan fans what they’ve dreamed of having. Running in chronological order, we start with the sweet “Edge of the Ocean,” a simple, rough-and-tumble recording that of a never-before-released song that represents the seedlings of Dylan and The Band’s momentous summer. We get early versions of “You Ain’t Goin Nowhere” with cool, scattershot lyrics about feeding cats. There’s an early take of The Band’s “I Shall Be Released” that is stunning in its shambolic simplicity. You can almost feel the room around which “Quinn the Eskimo” was recorded as the band casually rolls through the future Manfred Mann song. Some of the recordings can be a bit rough, sure. But listening through these recordings and finding your favorites is the next best thing to having been there yourself during these epic recording sessions. And the prime cuts from Vol. 11 taken together still represent the great lost Dylan album. 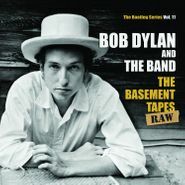 For fans of Dylan and The Band—really, for all fans of music history—Basement Tapes Vol. 11 is an essential listen. Hear "Odds and Ends" via Rollingstone.